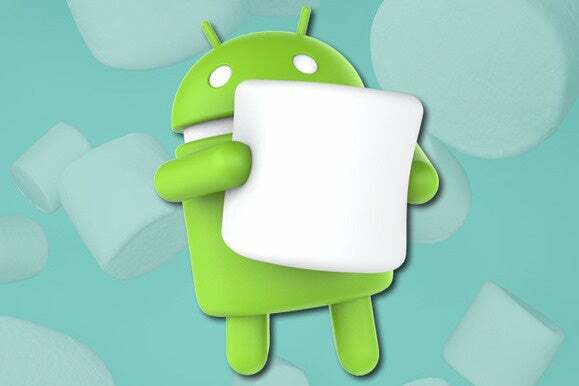 Google's Android 6.0 Marshmallow release is full of fresh new features and flavors. This detailed FAQ has everything you need to know. Ah, that sweet new software smell. It can mean only one thing: Google's latest version of Android -- Android 6.0, a.k.a. Marshmallow -- is toasted up, cooled off, and ready for the world to enjoy. Google announced the looming arrival of Marshmallow along with two new Nexus phones last week -- and right on schedule, the company started to roll out the new software to its existing Nexus devices on Monday. * Burning questions are fine, but let's try to avoid burning marshmallows -- m'kay? What are the most significant new features in Android 6.0? 1. Google Now on Tap. A new connective tissue tying all of Android together with potent Google intelligence. Just tap and hold your Home key anywhere in the system to get contextual info related to what's on your screen. It's wildly impressive -- some of the time. 2. Better stamina. Marshmallow more intelligently manages power consumption so your device will last longer on each charge. First, anytime your phone or tablet is unplugged, completely still, and with its screen off, Android 6.0 puts it into a sleep state. The device will kick itself back to life "periodically," so apps will still sync and you'll still get important notifications -- but aside from that, it'll quietly snooze and use only the minimal amount of power required. Marshmallow also identifies which apps aren't used often and then keeps those apps from doing unnecessarily extra stuff in the background and eating up your battery. 3. Better permissions. You know how when you install a new Android app, you see a huge list of permissions (also known as "that giant screen of text you never actually read")? 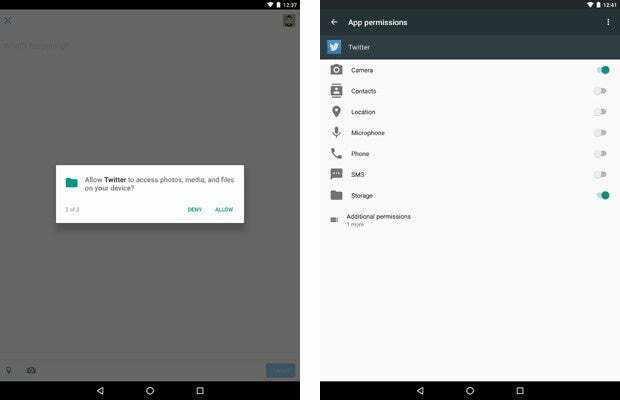 In Marshmallow, apps -- at least those that have been updated appropriately by their developers -- ask for permissions as they come up in actual use instead of all at once up front, as has previously been the case. That makes it much less confusing and overwhelming, and it also allows you to selectively deny permissions -- if, say, you wanted to use Twitter but didn't want it to have access to your photos. 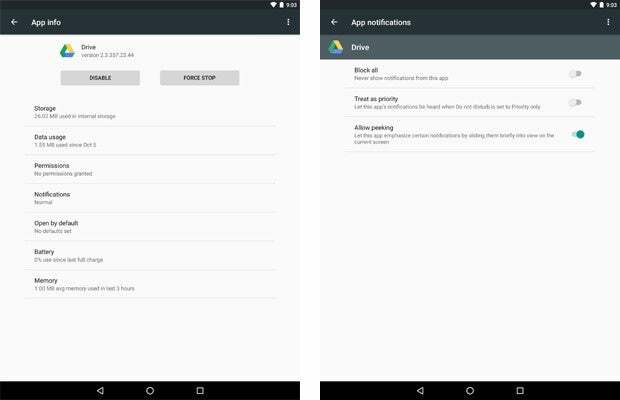 Android 6.0 also makes it easy to see what permissions you've granted to any app and then adjust your preferences at any time. 4. Fingerprint support. Sure, some manufacturers have been adding their own fingerprint support to Android devices for a while now, but with that capability becoming part of the platform itself as of the 6.0 release, it'll be available on far more devices -- and it'll be able to do a heck of a lot more. The Android 6.0 fingerprint system allows you to use your fingerprint to authorize Android Pay payments, Play Store purchases, and even in-app transactions (as long as your device has a fingerprint sensor, of course -- something we'll likely be seeing more of moving forward). 5. USB Type-C. Starting with Marshmallow, those maddening little micro-USB connectors are being replaced by a newer and better standard. Android 6.0 paves the way for USB Type-C to become the norm for Android device charging. It's reversible -- meaning you can plug the cables in either way (no more fumbling!) -- and it creates a more secure connection with faster data transfers and faster charging. The transition will be a pain, as newer devices won't work with your existing chargers, but trust me: It'll be a very good change in the long run. And with a wide variety of devices beyond just Android moving to the same standard (even -- gasp! -- products made by Apple! ), you'll eventually be able to use the same charger for almost all of your electronics. Okay, pal: That's all nice big-picture stuff, but how about something that'll affect the way I use my device day-to-day? You know, right now? Less confusing volume controls. Break out the bubbly: The convoluted mess that was Android volume controls in Lollipop is improved a million times over in Marshmallow. When you press your device's volume-up or volume-down button, you'll now get a simple volume slider for turning notification sounds up or down. Want to change the volume of your music or alarm? You can do that, too: Just hit the little expansion arrow on the slider to access separate controls for those areas. Ah, how wonderful simplicity can be. A more powerful and less confusing Do Not Disturb mode. 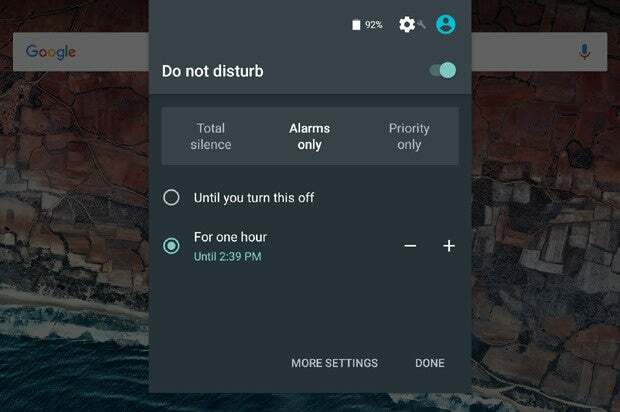 As part of the volume control revamp, the complicated "Priority Notification" system introduced in Lollipop has been renamed Do Not Disturb and made into its own standalone feature, separate from the main volume sliders. Now, you'll find an option for it in the notification pulldown alongside airplane mode and other such options. Tap it, and you can opt to put your device in a "total silence," "alarms only," or "priority only" state either indefinitely or for a set amount of time. (You can also create an exception so that if someone calls twice within a 15-minute window, the call will be allowed through.) I can't even begin to emphasize how much of an improvement this is from what Lollipop presented. Better text selection. Marshmallow makes selecting text faster and more precise. It also puts commands like copy and paste into a floating toolbar right near the text you've selected, instead of in an out-of-the-way bar at the top of the screen (as has been the case in the past) -- and it adds useful supplementary options like Share, which lets you beam any block of text to any other app or service on your device. Universal text translation. If you install the Google Translate app onto your Android device, Marshmallow will give you an option to translate text on the fly anytime you make a text selection. Pretty handy, eh? And that's just the start: Other apps will be able to add custom actions to the text selection menu, too, so we'll likely see more such options over time. What about appearance -- will Marshmallow look any different from what I have now? Honestly, most of the visual changes are relatively minor. When it comes to the core user interface, you probably won't notice a huge amount of difference coming from Lollipop. 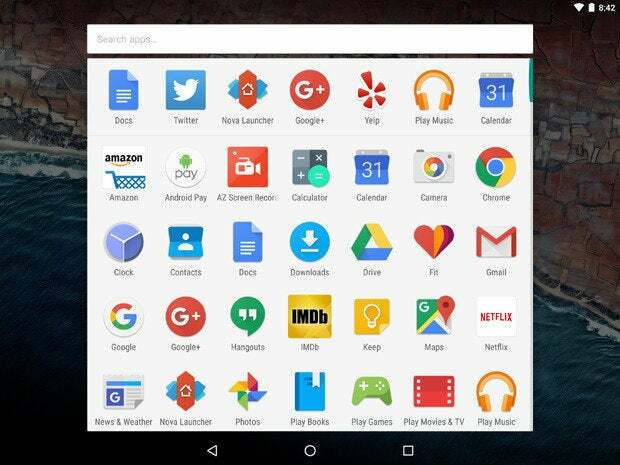 To wit, the Google Now Launcher -- Google's stock home screen experience that's the default on Nexus devices and available as a download on other Android products -- now features a vertically scrolling app drawer with quick-jump capabilities (letting you jump quickly to any letter in your app list). It also adds the ability to search your app collection, and it puts a bar of "predictive" apps at the top of the drawer -- apps that the system thinks you might want to use next based on your typical usage habits. Beyond that, the launcher has a newly themed search bar at the top of the home screen and a newly animated interface that appears while you're inputting voice commands. 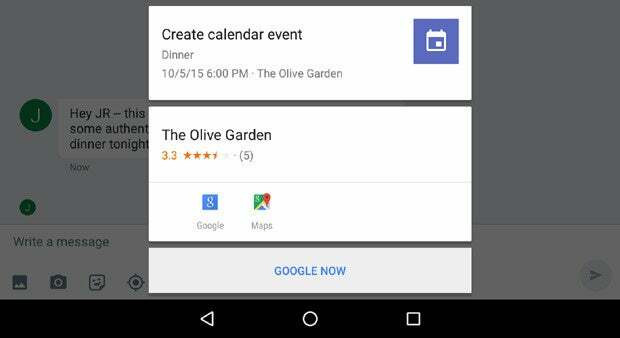 The main Google Now app has a whole new look, too -- something you'll see within the Google Now Launcher home screen if you use it or within the standalone Google app if you don't. Specific to Marshmallow, the default Android lock screen now has a newly bolded and all-caps font for the date and time, and it trades the awkward phone dialer shortcut in the lower left corner for a far more useful and appropriate voice-input shortcut. 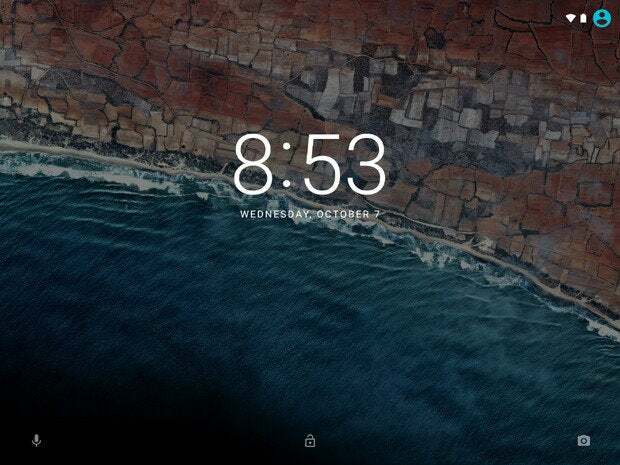 And on the tablet front, the narrow notification panel that used to appear rather awkwardly in the center of the screen now pops up wherever you swipe down -- a more visually pleasing and intuitive implementation. Wait -- that's it? Sounds more like a 5.2 type of release than a full 6.0 bump, doesn't it? A little bit (you read my mind!). As I mused not long ago, Google has typically reserved full number bumps for major platform evolutions -- those with not only under-the-hood improvements but also sweeping visual overhauls. And on top of that, we've usually seen more incremental point-one releases -- often with improvements comparable to what we're seeing here -- between each full-number jump. I came up with some possible theories as to why things might be different this go-round, but ultimately, a number's just a number. Whether this release were Android 6.0 or Android 5.2, it's got a good amount of useful new stuff -- and at the end of the day, that's all that really matters. Right? Fine. But there is more new stuff still, even if it's nothing earth-shattering -- isn't there? Better backup and restore. Lollipop brought huge changes to Android's new device setup process, and Marshmallow takes the evolution even further. When you sign into a phone or tablet for the first time, Android 6.0 gives you the option to import all of your accounts, apps, and data from any other device in the vicinity; all you have to do is authorize the action on both devices, and everything gets set up for you wirelessly and automatically. (You can also still opt to set up your accounts manually and then cherry-pick only certain apps to be restored, if you want.) Marshmallow also makes it possible to restore a bunch of new types of data, too, including app-specific data and settings -- which means, in theory at least, you can pick up right where you left off within apps, even after changing phones. Simplified and yet more powerful app settings. When you head into the Apps section of Android's system settings, Marshmallow gives you a single list of everything installed on your device. Tap any app, and you'll get a list of options that's meaningfully more extensive and more user-friendly than what we've seen before -- with easy-to-read info on each app's data usage, battery usage, and memory usage along with the ability to adjust its permissions and change how it's allowed to deliver notifications. App-based voice commands. Android 6.0 makes it possible for apps to add their own custom voice commands as part of the universal "Okay, Google" voice control system. It'll take some time to see what kinds of commands developers cook up, but this has the potential to really expand the scope and usefulness of voice control on the platform. Direct Share. The ability to easily share content between apps and services has long been Android's quiet killer feature. In Marshmallow, the feature gains even more oomph with Direct Share, an addition that makes it possible to share something directly to a specific contact or conversation within an app -- sending a link directly from Chrome to a Hangouts conversation with your Uncle Doofus, for instance. This is another thing that'll require developers' support in order to function, but hopefully we'll start seeing it put to use before long. Better support for external storage. Android and SD cards have a long and often contentious history -- but with Marshmallow, external storage is no longer a second-class citizen. Android 6.0 treats SD cards like an expansion of your on-board storage (imagine that! ), which means you can keep apps and other data on an external card and have all that stuff act just like anything else. Marshmallow even encrypts the data for extra protection. How about security? Anything new on that front? Oui, oui, monsieur and/or madame! There's the whole fingerprint thing we talked about a minute ago, for one. But on top of that, Android 6.0 adds a new verified boot system that checks your device's software when you turn it on and warns you if anything's been modified from the factory-installed version. And performance? 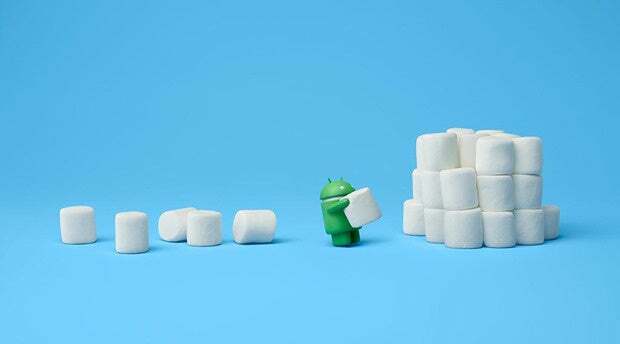 Will Marshmallow devices run faster? But of course -- heck, what would an OS upgrade be without some vaguely worded performance improvements? Marshmallow cooks up "improved application performance and lower memory overhead for faster multi-tasking" along with "improved typesetting and text rendering performance." So there ya go, bucko. Truth be told, I suspect the stamina improvements will be the more noticeable under-the-hood change for most folks, but we'll have to wait to see how things stack up on different devices. Does Marshmallow do anything new in terms of connectivity-type stuff? Android 6.0 adds support for Bluetooth styluses (styli? ); a new even more power-efficient Bluetooth Low Energy function for all of your ongoing scanning needs; a new and improved Hotspot 2.0 feature with support for frequency bands up to 5GHz; support for Bluetooth SAP (not to be confused with maple sap); and full MIDI support for rockin' out with any musical device your little heart desires. Whew! Did you make it? If so, good job; go get yourself a cookie. If not, apologies; please allow me to call an ambulance. Okay, wise guy. So will my phone or tablet get Marshmallow, then? And if so, when? The million-dollar question, eh? As usual, it's up to each manufacturer to provide the upgrade to its phones and tablets -- and as usual, some manufacturers are better than others when it comes to communicating with customers about their upgrade plans. Heck, let's not stop there: Some manufacturers are also better than others at making upgrades a priority and getting them out to users in a reasonably timely fashion. Check out my most recent Android upgrade report card to see how the big players have been stacking up lately. Google has already started rollouts for the Nexus 5, Nexus 6, Nexus 7 (2013), Nexus 9, and Nexus Player. (No go for the Nexus 4, Nexus 7 (2012), or Nexus 10, unfortunately; they've all reached the end of the line for active support.) The rollouts happen in waves, so it might take a few or even several weeks for the software to reach your device. HTC has said it'll provide Marshmallow to its One M9 and One M8 starting sometime in late 2015. The company has also committed to upgrading its One M9+, One E9, One E9+, One ME, One E8, One M8 Eye, Butterfly 3, Desire 826, Desire 820, and Desire 816 -- though no specific time frames have been given for those devices. Motorola has said it'll upgrade a handful of its devices as soon as possible: the 2015 Moto X Pure Edition, 2015 Moto X Style, 2015 Moto X Play, 2015 Moto G, 2014 Moto X Pure Edition (U.S. model), 2014 Moto X (Latin America, Europe and Asia models), 2014 Moto G, 2014 Moto G with LTE, Droid Turbo, 2014 Moto Maxx, and 2014 Moto Turbo. Notably absent from that list is any U.S. carrier-connected version of the 2014 Moto X as well as any version of the Moto E (see my somewhat scathing editorial, "Motorola, you've let us down," for more). Sony has said it's working on upgrades for its Xperia Z5, Xperia Z5 Compact, Xperia Z5 Premium, Xperia Z4 Tablet, Xperia Z3+, Xperia Z3, Xperia Z3 Compact, Xperia Z3 Tablet Compact, Xperia Z2, Xperia Z2 Tablet, Xperia M5, Xperia C5 Ultra, Xperia M4 Aqua, and Xperia C4 (oh my!). No timing information has been provided. And last but not least, T-Mobile in the U.S. has indicated it's working with manufacturers on updates for the LG G3, LG G4, LG G Stylo, and Samsung Galaxy Note 4, Galaxy Note 5, Galaxy Note Edge, Galaxy S5, Galaxy S6, Galaxy S6 Edge, Galaxy S6 Edge+, and Galaxy Tab S2. While none of that info has been confirmed by LG or Samsung, it's probably a pretty good indication that most of those devices are in line for upgrades -- and if they're getting 'em on T-Mobile, they're probably gonna be getting 'em in most other places, too. Will all the features and changes you mentioned actually come to my device? Not necessarily. First of all, some of the features are hardware-dependent -- like fingerprint support and USB Type-C support. So those are things that'll be more relevant for new devices coming out down the road. Beyond that, Android's open nature means manufacturers can modify the software in different ways and put their own individual stamps on it. If you want the software as Google designed it, a Google Nexus device is the way to go. Moto-branded Motorola devices are another solid option, as they stick with Google's core Android interface and merely add a handful of noninvasive features on top of it (though as the past year has taught us, that doesn't necessarily mean timely or ongoing upgrades are a given). Other manufacturers do their own things -- which can be both good and bad, depending on the specific nature of the thing and what type of experience you prefer. But they don't always include everything Google's core software offers. For better and for worse, that's part of what you get when you purchase their products -- and it's something you have to think about when you decide which type of device is right for you. Is it pronounced "Marsh-MAHL-oh" or "Marsh-MEHL-oh"? How many marshmallows can you fit in your mouth at once? Trick question. The answer is none, as I'm a platypus and I eat only shrimps and yabby. What are you talking about? You look like that Stay Puft Marshmallow Man from Ghostbusters. You, my friend, are officially out of line. Maybe, but you're a platypus.